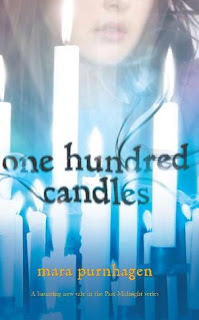 My teaser today comes from One Hundred Candles by Mara Purnhagen. I just started this book, I'm reading it on my Kindle, so once again I do not have page numbers. This is in the first couple of pages of the book. Dad opened the massive front doors by shoving against them with his entire body. My teeth chattered as the five of us climbed the stairs, our footsteps echoing until we reached a large, empty room on the third floor. Today we get to have a guest post by Brian Cohen. He suggests that a good caption for this picture is "Author Bryan Cohen is grateful that someone is holding the horse he's riding with a rope so he doesn't gallop away." What do you think? I will now turn the post over to him. He will explain the giveaway attached to this post! We live in a world in which the bad things that happen to us are reinforced by our social interactions, the Internet, and our minds. Friends tend to talk about the crappy things that happened to them since the last time you talked. People post their shortcomings, failures and insults on the Internet to gain sympathy and for humor’s sake. In addition, the mind naturally gravitates toward adding emphasis to the most negative things in our lives. I used to be involved in the thick of all this negativity just like everybody else. Ever since I’ve pushed myself in the opposite direction, however, the quality of my life and my career as a writer has shot through the roof. A lot of people associate negativity with realism. They think that they have to talk about the awful things in the world and their lives and do it in a mean, sarcastic way. You know, because that’s the way the world works. Here’s the thing though, the world tends to look exactly how you paint it. If you paint it to be a painful place that is a constant struggle, it’s most likely to be that way. Fortunately, if you think of the world as a loving place in which good things tend to happen, your life will typically follow suit. I’ve read many books about prosperity and happiness and in them gratitude is a very common theme. The books that talk about money say that if you appreciate the money you have, and appreciate the money that you will have in the future, you will eventually get more of it. While I wavered on this point as “too spiritual for me” for a while, it has passed the test for me with flying colors. I didn’t really try the experiment at 100% though until reading Marci Shimoff’s Happy for No Reason. Marci takes gratitude to a whole new level in the book. Not only does she recommend increasing the gratitude you have in your life, but she suggests diverting focus away from all the negative things you think, say and do. Of course, there are bad things in life that happen from time to time, but we tend to think about them and talk about them and act upon them long past the point we need to. Marci discusses the need to slowly but surely stop blaming people for things that go wrong in your life; to stop talking and thinking about negative things that have happened in your past (or even your immediate rear-view mirror); and not to talk or think about bad things that have happened to other people. If you start choosing to talk about positive things and to think about the good stuff as often as possible, you’ll get used to it. It took me years to get into this mindset and I’m still certainly not perfect with it. Always trying to be grateful for what I’ve got and what I hope to have hasn’t always been a cakewalk either, but I’m getting better. If I have a quiet moment alone I send up a little prayer thanking the universe for getting me to this point. I know, I know, it sounds like hippy-dippy mumbo-jumbo. But, if you want to give a happier, healthier and more successful life a try, gratitude and positivity is certainly a good direction to take. Bryan Cohen is giving away 100 personalized writing prompts to one giveaway entrant chosen at random during the blog tour. Personalized prompts are story starters that cater specifically to a writer’s subject matter, strengths/weaknesses, etc. Cohen will create the prompts to cater exclusively to the winner. He is giving away free digital copies of his book The Writing Sampler to everybody who enters, which includes excerpts from each of his four books on writing. The book contains essays, writing prompts and tips and tricks to enhance your writing skills. In addition, for each of Cohen’s books that reach the Top 500 on Amazon during his blog tour, he will add a $50 Amazon gift card to the drawing (up to six $50 cards in total)! To enter, simply post a comment to this blog post with your e-mail address. Entries will be counted through June 2nd, 2011. Bryan Cohen is a writer, actor and comedian from Dresher, Pennsylvania. Since graduating from the University of North Carolina at Chapel Hill he has written four books (1,000 Creative Writing Prompts: Ideas for Blogs, Scripts, Stories and More, 500 Writing Prompts for Kids: First Grade through Fifth Grade, Sharpening the Pencil: Essays on Writing, Motivation, and Enjoying your Life, and Writer on the Side: How to Write Your Book Around Your 9 to 5 Job), several plays (Something from Nothing and Chekhov Kegstand: A Dorm Room Dramedy in Two Acts) and he was the head writer for an un-produced Web series (Covenant Coffee). His writing and motivation website Build Creative Writing Ideas has had over 100,000 visitors since it was founded in December 2008. He lives in Chicago, Illinois. Follow Bryan on Twitter @buildcwideas. Description from Goodreads: Willow knows she’s different from other girls, and not just because she loves tinkering with cars. Willow has a gift. She can look into the future and know people’s dreams and hopes, their sorrows and regrets, just by touching them. She has no idea where this power comes from. But the assassin, Alex, does. Gorgeous, mysterious Alex knows more about Willow than Willow herself. He knows that her powers link to dark and dangerous forces, and that he’s one of the few humans left who can fight them. When Alex finds himself falling in love with his sworn enemy, he discovers that nothing is as it seems, least of all good and evil. In the first book in an action-packed, romantic trilogy, L..A. Weatherly sends readers on a thrill-ride of a road trip - and depicts the human race at the brink of a future as catastrophic as it is deceptively beautiful. This is an original take on Angels. We tend to think of angels as benevolent creatures. We of course learn this from the Bible. The angels in this book are predators from another world, who take on the appearance of benevolent, loving beings. Willow lives with her aunt and mother. Her mother is mentally ill. She has been for a long time. Willow watches after and takes care of her mother. She knows that her mother's mental state has something to do with the father that she has never met. Willow has psychic abilities. She uses them to help out her friends and acquaintances. A school mate named Beth asks for a reading to help her decide the path she should take, and Willow is introduced to the world of Angels. Beth has had visitations from an Angel and she has now become obsessed with them. She doesn't like that Willow told her to stay away from the Angel. This leads Willow on a journey, both mental and physical as she becomes caught up in the war between the angels and those trying to stop them. Along her journey she discovers that her father is an angel. She has to learn to accept herself and the angel within her. Alex finds her, he is actually sent to kill her, and together they discover more about the war with the angels and discover their love for each other. They help each other accept and come to terms with the ways that their lives have been impacted in a negative way by the angels. There is so much more to this book. I don't think I am really giving anything away with this review. I really liked that the book is original in the way angels are depicted. The love story between Alex and Willow is typical. L. A. Weatherby has a writing style that is easy to follow and keeps the story interesting and on a quick pace. She writes in the first person from both Willow and Alex's point of view. She creates a caring and loving relationship that is built on trust, considering the circumstances that they came together, that is believable. I will look forward to more books in this series. The war has just begun. 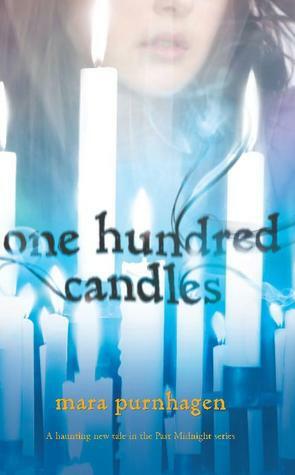 I downloaded this book from Netgalley. Thank you Candlewick Press for giving me the opportunity to read and review this book. I am linking all of the titles to Goodreads. received from the author to review. There is my week in books. I'm excited to read them. I hope that you had a great book week as well. 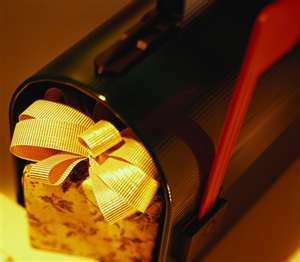 What did you get in your mailbox/ebox? REVIEW ~ "Just 10 LBS"
This book offers a common sense look at our eating and personality patterns. You can choose between several profiles to determine what kind of eater you are. After you figure that out, Brad Lamm explains how we can deal with our profiles and become healthier. The book goes over our metal attitudes, spirituality, and offers ways that we can succeed. He focuses on what our patterns are that are keeping us overweight and not so much on counting calories. I think this is a great addition to my collection of motivational books. I received a copy to review from Netgalley. REVIEW ~ "Blood Red Road"
Description from Goodreads: Saba has spent her whole life in Silverlake, a dried-up wasteland ravaged by constant sandstorms. The Wrecker civilization has long been destroyed, leaving only landfills for Saba and her family to scavenge from. That's fine by her, as long as her beloved twin brother Lugh is around. But when a monster sandstorm arrives, along with four cloaked horsemen, Saba's world is shattered. Lugh is captured, and Saba embarks on an epic quest to get him back. This is an incredibly intense, action packed, dystopian adventure. I am reminded of Mad Max and Dune (I think that dates me). The future has gone horribly wrong. Civilization is gone, the written word no longer exists, and many of the population doped up on a drug called Chaal. People are violent and living in primitive conditions. Saba and her family live in an isolated area away from the dangers of the current society. They live near an almost dried up lake. Her family consists of her older brother, Lugh, a younger sister, Emmi, and her father. Saba and Lugh are twins who just turned 18. A strange storm comes to their home and following the storm riders appear who abduct Lugh and kill her father. Saba vows to find Lugh and save him. The adventure begins. The story takes us through deserts, fight arenas, jail breaks, meeting new friends, and bloody confrontation. I found the writing style to be very interesting. It is minimal, abrupt, and takes a bit to get used to. I was impressed that the author was able to keep it consistent throughout the novel. It is hard to transition between the different characters. There is not the punctuation that we are used to letting us know that a different person is speaking. (Thus a four instead of a five rating.) It is written in the first person from Saba's p.o.v. It uses unique spelling that let us get a feel for the flow of the dialect. Overall, this is a great book. I loved the strong female characters. I have read reviews where some found it hard to believe the sudden change in Saba. She becomes a fighter overnight. I didn't find that so hard to believe. I think many of us would fight to save the people that we love. There is violence and mild swearing. I read a galley from Simon & Schuster to review. This book will be released on June 7th. Blog Tour~ Review of "Contingency"
Description from GoodReads: Where was God? Bobbi Molinsky's comfortable life is shattered when a forwarded email from her husband's account lands in her inbox. The email teases, "My whole evening is free again." After an angry confrontation with Chuck, she is left with the broken remains of an eighteen year marriage. Bobbi agrees forgiving Chuck is the right thing, the God-honoring thing to do, but it leaves her empty and isolated. Teaching her second-graders is a burden. Taking care of her boys saps all her energy. It seems God Himself has walked away, leaving her to struggle alone. Bobbi can't deny the transformation in Chuck, but genuine forgiveness requires trust, and trust is a risk she's not willing to take. Can she let go of her deepest, most primal fears and save her marriage? This book deals with an issue that affects many families. The tragedy of infidelity. Bobby discovers that her husband of 18 years, Chuck, has had an affair. She undergoes the painful process of coming to terms with his infidelity as well as learning to trust and forgive. Chuck learns how to love God, his wife, and himself after loosing himself in sin. I enjoyed the way that Paula Wiseman dealt with a very sensitive issue. She took us into the hearts and home of Bobbi and Chuck Molinsky as they come to terms with adultery. I found many levels of emotion within the pages of this novel. I was able to connect with the family and feel their pain as they tried to understand the issues behind the act. I felt that the way they explored their emotions and their relationship with God resonates with anything, that we as people do, that weakens our relationship with our Creator and with those that we love. If you can't tell this is a very Christian themed book. This book will do well with anyone who is a Christian or who is interested in the Christian Faith. There are flashbacks showing the way that the family was failing and the way that thoughts and acts led to the act of adultery. This book does not have explicit content, but the theme is more of an adult read. 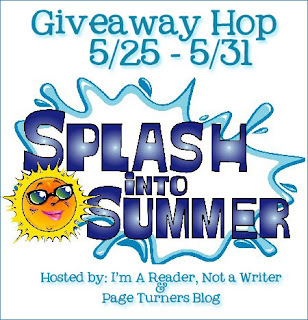 I received a copy to review by participation with the "Pump Up Your Books" blog tour. After working several years as research chemist, Paula Wiseman was blessed with the opportunity to stay home with her children and follow the writer’s path. She has been published in several Cup of Comfort devotional books and in Life Savors for Women. Contingency: Book One: Covenant of Trust Series, her debut novel, spent time on the Amazon.com Christian Fiction bestsellers list, and was also the #1 Hot New Release in Christian Fiction. Indemnity is her second novel. Paula blogs on matters of life and faith at www.paulawiseman.com. First things first, thank you I am a Reader, Not a Writer and Page Turners for hosting this hop. It takes a lot of work to put this together and I am truly appreciative. For this hop I am doing a US/Canada giveaway. Sorry to all of my International friends, but I am giving away four packages of books from my shelves and I cannot afford the overseas shipping. Shipping in most cases costs more than the book costs to purchase. My next giveaway will be international. Sorry! I am not going to require any following to enter this contest. All you need to do is leave me your email and name in the form. I will give one extra entry for a GFC follow. Two will be the maximum entries. I'm trying to keep it as simple as possible so you can get onto the next giveaway. My first package is a picture book package for your children's summer reading. All of these books have been read by my children, but unfortunately we have outgrown them. I would love to see them go to a home where there are children who will appreciate them. A couple of them are review books that I have received. If I have reviewed it I will link the title to my review, or to a description at goodreads. My second package has middle grade books. I recently went to a PTA convention where there were two bookfair companies with booths. On the last day they sell their books displayed for 50% off. I picked up both of these books because I knew we had some of this series, but I couldn't remember which books I already on my shelf at home. I bought three of them, and I already owned two. They are both brand new and I love reading this series to my youngest son. There is a cute little bookmark with a scene from "The Tempest" by William Shakespeare. I am linking the titles to the book description at Goodreads. Ok, the picture is sideways for my third package. It just makes this post more interesting? This is the Young Adult package. I am linking to the description from Goodreads, that way you can have an idea what the book is about. I have not read two of them. I have only read Masks. I am having technical difficulties with my iPhone at the moment. I retook this picture making sure that I was taking a horizontal picture and it came out vertical again. My my phone and blogger are not communicating well. This is the adult package. The three books included were all review books. I will link the title to my reviews if you are interested in finding out what the books are about. 1. You must be breathing and have an address! 2. For the first three packages you must be 13 or older to enter. 3. For the adult package you must be 17 or older. 4. You must live in the United States or Canada to enter. 5. I am not responsible for any lost or missing books. I promise that I will mail them, but I will send them the cheapest way possible. 6. You must fill out the form below to enter. I love comments, but they will not count as an entry. 7. Make sure that you visit as many blogs as possible and enter as many contests as you possibly can. 8. There will be a total of four winners in this contest. You many enter for as many of the packages as you like. You will only be able to win one package. Lauren DeStefano is having an amazing giveaway. 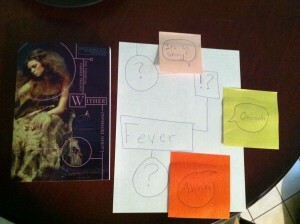 She is giving away a personalized Arc of Wither and an Arc of the sequel that hasn't been printed yet. I am definitely going to enter this giveaway. If you would like to know more, then go....here! My teaser this week comes from a very intense YA novel. I am pleasantly surprised by this book and I am enjoying it thus far. 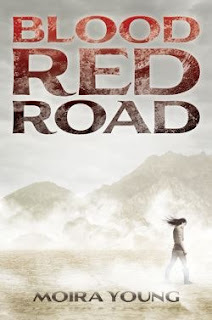 It is Blood Red Road by Moira Young. It will be released on June 7th. I have been blogging for almost seven months now, and until recently, I had absolutely no idea that there was a big thing called BEA. I'm not at a point where I make any money from my blog. I'm not sure that I even know how to do that. (That translates to not having any money to go to a book related conference.) I only know that I love to read and I love to recommend books. That's me, pure and simple. I just found a fantastic website about Armchair BEA and I just filled in the registration form. I have absolutely no idea what I am doing, but I am anxious to figure it out and learn. I will follow the lead of all of the experienced bloggers who are also not attending BEA, and hopefully find some new contacts along the way. I will anxiously read the posts on The Armchair BEA website and try to get to at least of few of the other blogger's posts. I hope you will help this newbie along. I am very happy with the fabulous variety that I received this week. I posted this a little later than I like. Usually it's Saturday, but it was a busy weekend. I hope you had a great week in your ebox and mailbox. My thoughts:I am amazed that this book was written by a 14 year old girl. She illustrated poise and maturity beyond her years. I was impressed by the organization and writing style that she presented. Em is a 14 year old girl going through some struggles. She is faced with the death of people that she loves. She is having problems with her friends and dealing with substance abuse by one of the members of her family. One day she came across a gypsy woman who gave her the opportunity to pick a guardian angel. She quickly grabbed the closest one, a wooden figure of a boy and Kai became her guardian angel. Kai is struggling with his own problems. He did something in life, that we are never given a clear answer on in the book, that kept him from entering the Pearly Gates. He is given a second chanced to make things right by becoming Em's guardian angel. This is a sweet book. It is a great read and not very long. It was very interesting for me to note the grammatical differences between the US and Britain. I want to share one quote from the book that makes sense to me. It is one of those, duh... why didn't I think about that statements. I loved the message in the book. 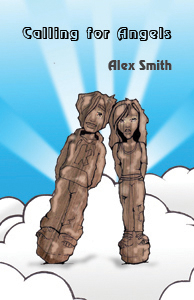 This book lets you know that it's OK to be yourself and not be a "clone". Don't try to be like everyone else to fit in. Real friends will accept you for who you are, not what they want you to be. This book is clean and is appropriate for tweens on up. I received this book to review from the Early Reviewers program at Library Thing. Blog Tour" REVIEW of "Nia"
Description from Goodreads: Suddenly this kneeling, filthy man caused all of my attention to pivot upon him when he grabbed my hand. I was just opening my mouth to warn him that he would surely be killed...no one was allowed to touch me, Princess Nia, without permission. My protesting words were replaced with a swift intake of breath as the soldier produced a strange-looking dagger and drug it lightly over my finger. I stared in wonderment as he gently squeezed my fingertip to produce just one red ball of blood, my blood. Then the man kneeling before me swiped the blood from my finger with his own and plunged it into his mouth. "Your blood is now my blood. Your world is now my world. Your life is now my life," were the words he chanted.. I cannot think what genre this book would be classified as. It has elements of Historical Fiction, but is in a fictional country. It starts when Nia is 16 and ends when she is 20. There weren't any fantasy creatures. I just mentioned that I wanted romance. There are adventure elements. Nia travels and has to run from danger. Mystery is also present as you try to figure out who the murderer is. There is palace intrigue and political wrangling. Basically, this book offers a little bit of everything. There really isn't much not to like about this book. It's clean and follows four years in the life of Nia. It illustrates her struggles and her longing to belong. She shows her compassion as she takes care of the sick and looks after her guard. It also has a powerful message about friendship, love, and loyalty. It is appropriate for all age groups. I received this book to review from the author through Tristi Pinkston book tours. For more info on Mella, check out these links! If you are interested in finding out more about what other reviewers say about this book. You can stop by and visit their posts. Here are the links. Blog Tour: REVIEW of "The Lens and the Looker"
These three “hard cases” refuse the valuable lessons History Camps teach. But when they are kidnapped and taken back in time to 1347 Verona, Italy, they only have two choices; adapt to the harsh medieval ways or die. The dangers are many, their enemies are powerful, and safety is a long way away. It’s hardly the ideal environment to fall in love – but that’s exactly what happens. In an attempt to survive, the trio risks introducing technology from the future. It could save them – or it could change history. My first thought when I saw the cover was that it looked kind of ... interesting. It's not the kind of cover that usually takes me in. So, the first lesson for me in reading this book is that you can't judge a book by it's cover. In 2347 the people of the world are living in the perfect society. They know little of suffering and disease. For the most part people do what they are supposed to do. This story follows three teens who are rebellious and trouble makers. To tame the trouble makers, society has founded History Camps. In these camps, teens are taken to remote locations and are expected to live in the conditions that the people from the past lived with. They actually have to work and are expected to follow rules. This is an attempt to help them realize the advantages and the superior life that they have. It should help them conform to society. History Camp for Verona, Italy 1347 is meant to tame the "hard cases." In this case that is Hansum (17), Shamira (15), and Lincoln (14). This group of three make life as intolerable as possible for their camp counselors. They are forced to play the role of peasants and are expected to learn a trade and do what they are asked. What the counselors do not know is that Hansum has smuggled in technology and they are using their little hologram "genie" to cause as much havoc as possible. The non-conformist teens are then abducted by someone from the future who speaks in rhyme. He whisks them away to the past, to the 14th century Verona. The teens have no choice but to conform in order to survive. They find that history camp was tame compared to the real life past. Life is harder than they were lead to believe and it is hard to survive. There are no doctors, most of the people are illiterate, there are diseases, and a high death rate. Life in Verona is dirty. It is unsanitary. I lived the realism in this fantasy book. I wasn't hooked into the story until I was about 2/3 of the way through. I found the plot very interesting and compelling. Kaufman lays a foundation that builds to the ending. I recommend this book to all ages. It is a young adult book, but it's a great story. There is not content that a parent would need to be concerned with in having a young teen exposed to. I am giving this book four stars and thank Mr. Kaufman for the copy sent to me. I look forward to reading the further adventures of the teens in History Camp. I read this book to review with the "Pump Up Your Book" blog tour. On the artistic side of Lory’s career, he’s written, acted and directed children’s theatre and musical theatre. He enjoys art, especially sculpture. He loves science fiction and historical fiction and he has been deeply involved in the green movement all across North America. All this shows through when you read his work. Lory has three grown children and works and lives in Kingston, Canada.